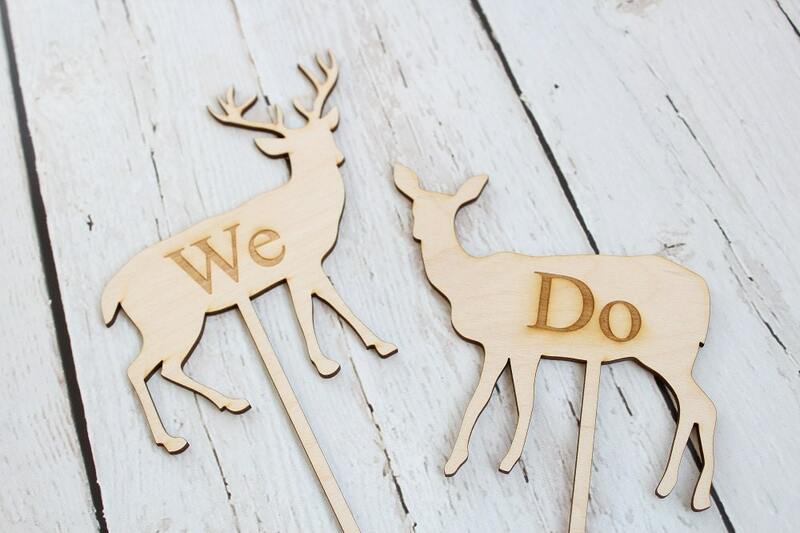 ♥ Natural wood laser cut Buck and Doe silhouettes. 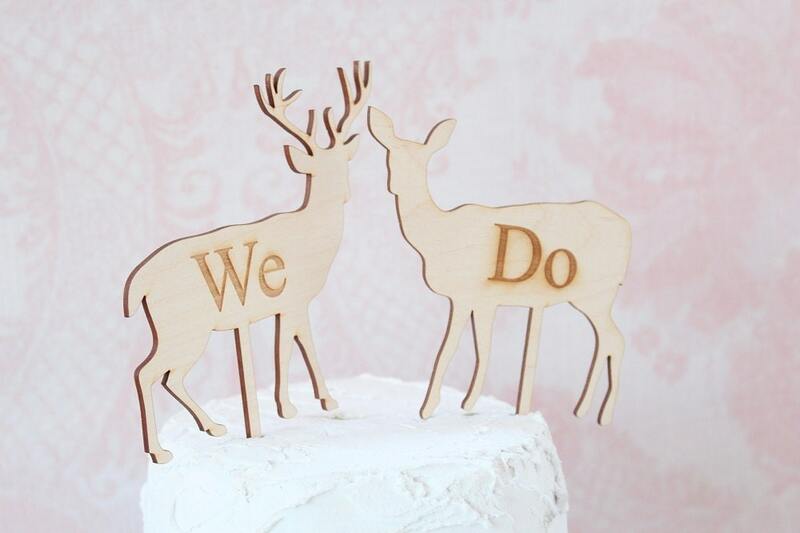 ♥ 'We Do' laser engraved. 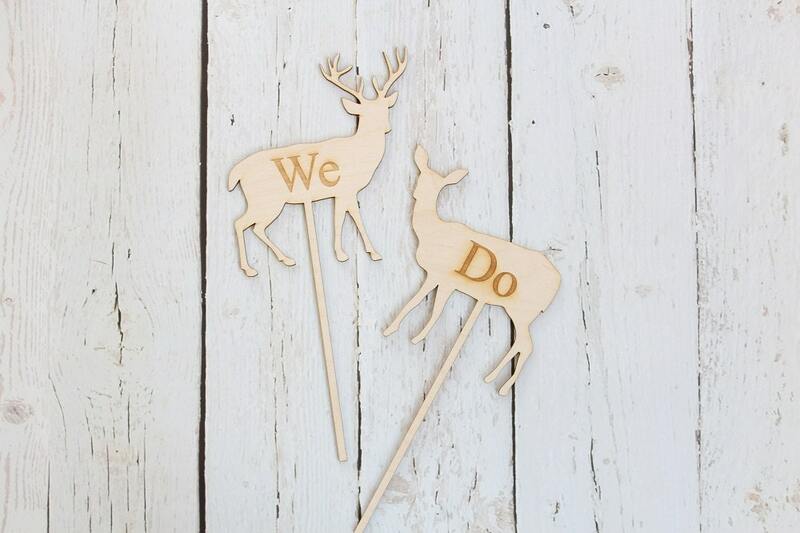 ♥ With attached 6" stick. 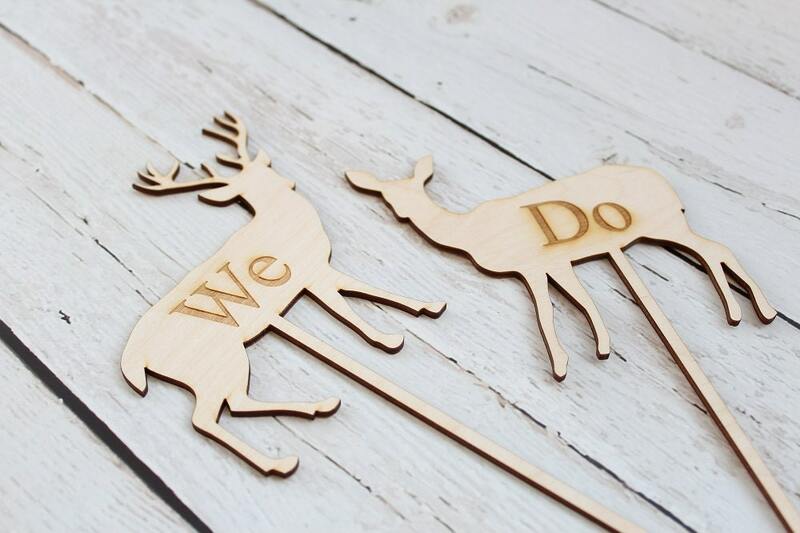 The Buck and Doe cut outs have a 'smoke' finish around the edges from being laser cut. I feel it adds to the rustic look. Just what I expected, beautiful work. My sister just received this as a bridal shower gift, and she can't wait to use it in her July wedding. 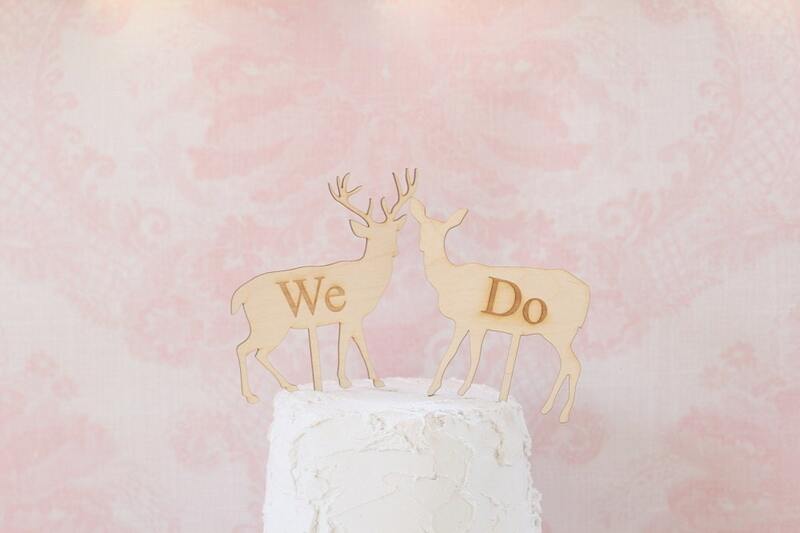 It fits their theme perfectly! Thank you!